This shouldn't come as a surprise, seeing that the S10+ may come with a dual selfie camera housed in a pill shaped cutout display. This basically means that a single battery can charge other batteries. When compared to the OnePlus 6T, the Galaxy S10 and S10+ will seemingly come with a bigger in-display fingerprint sensor area. For selfies, the Galaxy S10 will sport a 10-megapixel (f/1.9) camera. First set of teasers of the Galaxy S10 are coming all the way from Vietnam. The teaser video also reveals that the Samsung Galaxy S10 will come with an nearly bezel-less display and thankfully there will be no notch or cut-out anywhere. The smartphone will also offer the highest storage so far with 1TB. This hints that the upcoming Samsung Galaxy S10 will come with OIS support. On the front, a 10MP "main" camera, as well as an 8MP "live focus" camera for shooting portrait-style selfies. The largest S10+ will have a 6.3-inch display, also with Gorilla Glass 6, and will have two different color schemes. Its storage variants include 6GB/8GB of RAM and 128GB/256GB of in-built storage. 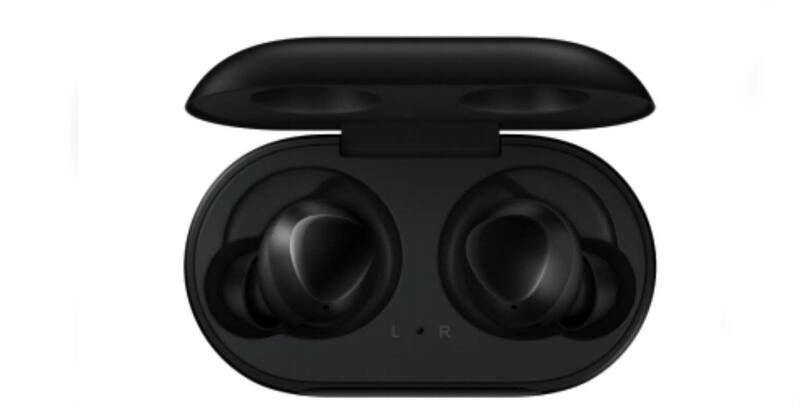 Not many people are going to use Wireless PowerShare to wirelessly charge up other people's phones, but lots of people will want to use it to charge the rumoured wireless Galaxy Buds earphones, and potentially other wireless earbuds. Meanwhile, the Galaxy S10e comes with a dual-camera setup consisting of a 12MP 1/.5 main camera with variable aperture and a secondary 16MP f/2.2 camera for ultra-wide-angle. For the Galaxy S10e, it will get a side-mounted fingerprint sensor which doubles up as a power button.